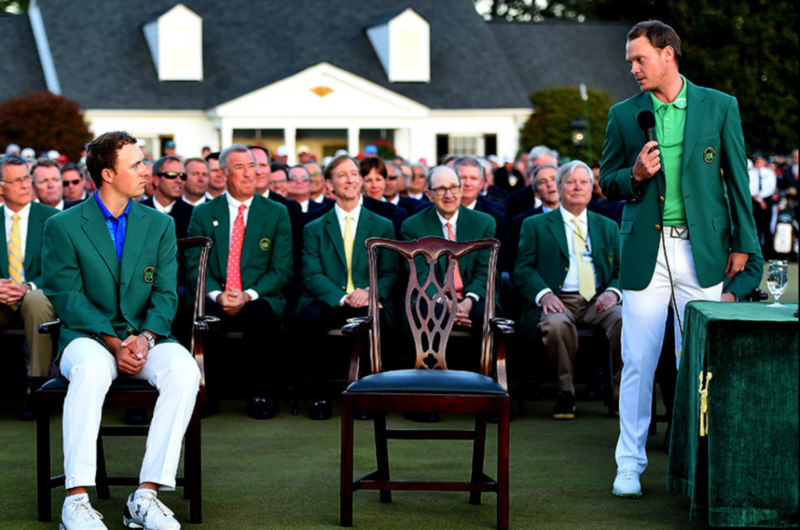 Danny Willet wins the 2016 Masters. The back 9 is now done and what a finish. It’s hard to believe. It was hard to watch (not really) although I felt for Jordan Spieth. Did you watch it. My friend Ron in North Carolina sent me a text saying simply “Unreal Masters”. Personally, I was rooting for Jordan. I think the kid is special as a golfer and a person. The ‘golf gods’, who I blame for all bad things on the course, had other ideas. Spieth went into the back 9 with a 4 shot lead at 7 under par. At 10 the wheels started to come off a little as he bogeyed 10 and then came back to bogey 11. The real disaster was at 12. He hit his tee shot into Rays Creek. Probably a combination of poor swing and too aggressive a line. Then it happened, Jordan Spieth looked like you, me or all amateur golfers. He dropped a ball and hit it fat- back into the creek. He dropped again and now, not to be short, he wound up in the back bunker. A quadruple bogey. He dropped 6 shots in 3 holes. Sound familiar. I’ve done it. Not at the Masters but at my home course and at others. I remember late last year, in a tournament I took a 12 on the Par 3 2nd hole. I was snake bit and couldn’t stop hitting into the water. After I finally was over the water I 3 putted. Spieth, however, is a great golfer with fabulous concentration. After the debacle at 12 where he went from being ahead to being 3 shots back he made 2 more birdies and put himself in position to win or tie. Unfortunately he missed the birdie putt on 16 but still had a chance. The bogey on 17 gave the tournament to Willet. Jordan Spieth is a great golfer and will definitely recover and go on to win other championships and majors. This was not his day. He will learn from defeat. This day belonged to Danny Willet. He did what he had to do. He kept his head and his cool. When Spieth lost the lead Willet continued to play and still added a birdie coming in. When he finished at 5 under par he had to wait. Spieth was still on the course and still could tie or even win with a few birdies. Willet was not going to play in the Masters because his wife was expecting their child on April 10. Her birthday. 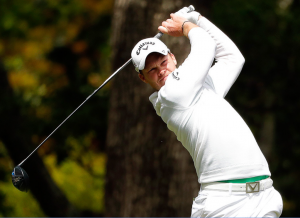 The baby came early in late March and Danny Willet was still able to get in and play. One needs to believe in fate, destiny, a master plan, etc. He obviously called home when he won. His play on the European Tour moved him from way down the list to number 12 in the world rankings, before he won the Masters. You can bet he will move up even more. Spieth still finished in a tie for second with Lee Westwood. He has played in 3 Masters tournaments and has 1 win and 2 second place finishes. Not bad at the ripe old age of 22. He will be back!